When you look at e-commerce titans like Amazon and Gilt, you see that they soared to success by using savvy marketing strategies. They leveraged a range of marketing tools to appeal to shoppers’ needs, acquire new customers, and ensure satisfaction. HuffingtonPost.com shared six ways for e-commerce stores to have success in the bag. Email engagement: Send shoppers special coupons and promotions, share store updates, remind buyers to replenish their stock. Social media promotion: Use image-based social shopping networks like Polyvore and Pinterest to target specific markets, increase average order values, and raise conversion rates. Search engine marketing: Buy ads that target key search terms on popular search engines and optimize your website to correlate with those terms to get greater results. 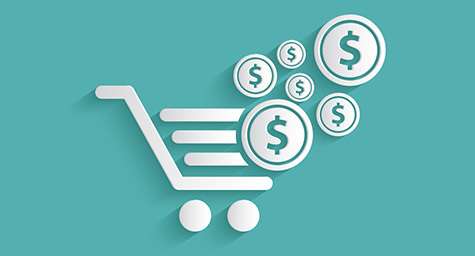 Try using upsells and cross sells to boost your revenue. Offer special incentives for spending more, create price tiers to convey a sense of status, and convey urgency with limited-time deals. All of these psychological factors will result in higher sales. In e-commerce, copywriting is your virtual salesperson. Describe each product with passion and excitement to make them more enticing. When possible, tie a product to a memory or experience to make it resonate with shoppers. It’s important to always be courteous and polite with customers. Maintaining a calm tone and using positive language can show shoppers that they’re valued and create a personal connection. Providing great customer service will also result in good customer reviews and testimonials, which can be used for online marketing purposes. Also, listen to customer feedback for ideas on new products and ways to improve operations. By providing excellent customer service, brands can develop customer loyalty, while reducing the cost of returns and exchanges. After providing a pleasing shopping experience, you need to continue that same satisfaction with shipping. Develop solid logistics and pay attention to your inventory to ensure quick and efficient delivery. If necessary, expedite an order for free to make sure that customers get their goods on time. And monitor your fulfillment process to stay aware of problems that could cause delays in delivery. Connect to the latest in online marketing. Contact MDG Advertising.